With child deaths more than doubling in four years, is the state failing to learn lessons? The funeral director warned him that with a body that small it would be hard to collect many ashes, but D.J. Alcantara wanted something of his 6-month-old daughter Dejalyse. “I gave her a kiss. I apologized. I let her go,” said Alcantara. Apologized, he said, for not doing enough to protect her. In March of 2012 Alcantara's ex-girlfriend Marivette Morales buckled their infant daughter into her car seat and drove to a Kentucky Fried Chicken in Boston's Roxbury neighborhood. According to Boston police, Morales admitted taking six of a friend’s muscle relaxants before she fell asleep for hours in her running SUV. Dejalyse, who was in a snowsuit and covered by a blanket, overheated and died. Said Dr. Eli Newberge, a pediatrician and child abuse expert at Harvard Medical School, “In many of these situations, you can see death coming like a freight train down the track. Dejalyse is one of at least 110 children in Massachusetts whose deaths were linked to abuse and neglect between 2009 and 2013, according to records obtained by the New England Center for Investigative Reporting. More than one third of those children had been under the watch of the state Department of Children and Families, including Dejalyse, who was born with drugs in her system. Alcantara, who left Morales and got sober before Dejalyse was born, can’t understand how a social worker could have missed the signs that the baby was in danger. “There wasn't a day when she wasn't high when I was with her. We got high every day. And when I mean every day, I mean every day,” Alcantara said of the baby's mother. 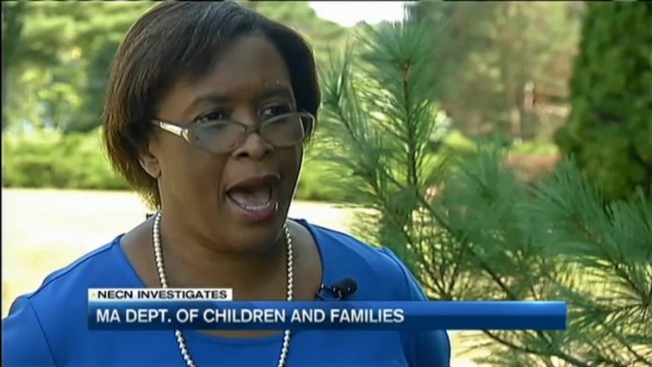 Some experts say how children or families are evaluated and tracked by DCF is a major problem. 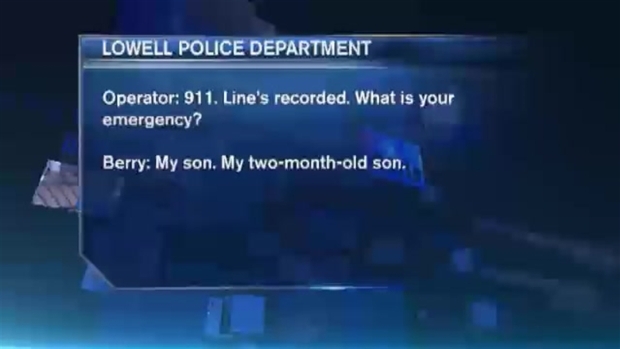 In May 2013, Christopher Berry called 911 saying he couldn't wake his infant son, William, from his nap. The state had already been involved with the family after receiving a complaint that Berry and his girlfriend had been neglecting 2-month-old William. 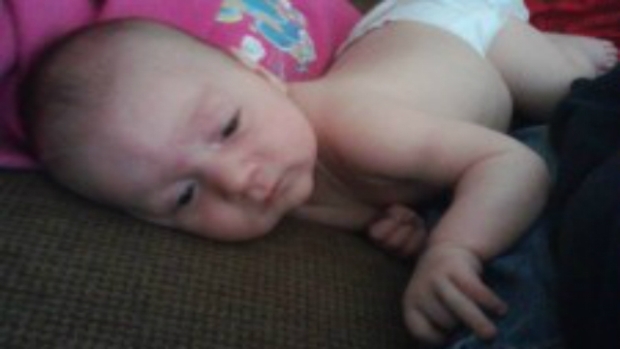 Christopher Berry admitted in 2013 to shaking his 2-month-old son William to death. According to court documents, Berry was an Iraq War veteran suffering from PTSD and had been arrested several times on charges ranging from domestic violence to animal cruelty. Despite the red flags, social workers assigned the family to the lower risk track. A month later, William was dead. His father shook him to death. Christopher Berry called 911 in the spring of 2013 saying he couldn’t wake his son William from his nap. “The system is rotten from top to bottom,” said Dr. Newberger. He was appalled to learn state social workers are not required to run criminal background checks on caretakers suspected of abuse or neglect. Spears would not discuss individual cases or reveal if a CORI check had been run on Berry, who remains behind bars after pleading guilty to killing his son, but says her agency does need to do a better job assessing the soaring number of child abuse complaints, which rose by more than 30 percent in 2014 alone. “It's about getting it all right. From the front door to the middle door to the back door to ongoing services,” said Spears. Christopher Berry initially said he didn’t know what happened to his infant son William, but later admitted to Lowell Police Detectives that he shook him to death. A social worker herself, Spears has recently taken the helm of the embattled agency, which has seen a litany of recent and tragic missteps. Last year, a social worker missed months of required visits before 4-year-old Jeremiah Oliver was found dead, stuffed into a duffle bag on the side of the road. The state also admits it failed miserably in the case of 7-year-old Jack Loiselle. The Hardwick boy is in a coma and his father behind bars after allegedly beating and starving the first grader. Jack remained on the lower track of DCF supervision even though the agency received multiple complaints of abuse in the months, even years, before Jack was rushed to the hospital in July. “To me that's a place where our system didn't really catch what it could have caught,” said Spears. Jack and Jeremiah's cases have garnered national attention, but many of the children's deaths we examined went unnoticed or unknown to the public because of confidentiality laws and secrecy. Some child specialists worry the state has pivoted from tragedy to tragedy promising top to bottom reviews, but failing to implement lasting change. Spears vows this time is different. “We're going to look at our training,” she said. “We're going look at how we support our workers. We're going to make sure that supervisors have the skills and supports they need to make it work." Experts say there should at least be uniformity in the way child deaths are analyzed. In 2000, the Legislature passed a law to create a statewide system that would bring investigators, child welfare specialists and doctors together to make sure lessons were learned from each tragedy. But in the last 15 years, the state review team, run by the state’s Office of the Chief Medical Examiner, has filed just four of its required annual reports. Dr. Robert Sege, who sits on the regional team in Suffolk County, says they have not met in over a year. Marivette Morales served four months of a suspended sentence for involuntary manslaughter in the death of her daughter Dejalyse three years ago. She is now living in Boston on probation, but said she couldn't speak to us because she currently has an open case with DCF and doesn't want to risk losing custody of this second child. The state has hired more social workers and committed an additional $18 million dollars to DCF for the next fiscal year. The agency also tells us they have just hired four Quality Improvement Specialists who will start work within the month. But the question lingers, will it be enough?